A political party in Tamil Nadu, created by Brahmins, is pushing for reservations in government jobs and educational institutions, claiming that they have been neglected. 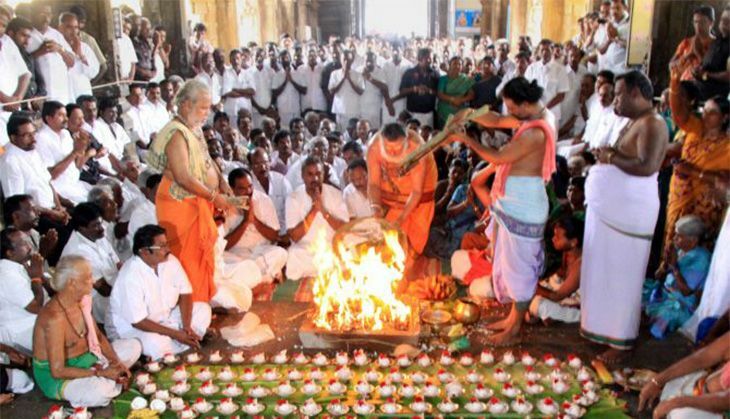 "It is a curse being born a Brahmin in Tamil Nadu," said S Shekhar, a former BJP MLA from Mylapore. "Brahmins constitute less than 4 per cent of the state's population, which is why they are neglected. Only a few of them are able to acquire education and migrate out of Tamil Nadu to lead a prosperous life." According to Shekhar, until the basis of reservations was changed from caste to economic status, Brahmins in Tamil Nadu will suffer. "It is absolutely wrong to punish the grandson or the great grandson of a Brahmin for the sins, if any, committed by his ancestors. This goes against the grain of justice and constitution," he said. "We also demand protection from the harassment and ridicule that Brahmins are often subjected to, especially in Tamil movies," said AMK president S Jayaprakash Iyer.